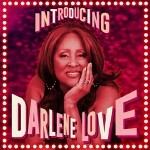 Music veteran Darlene Love has sung on some of the greatest classics of the rock ‘n roll’s golden era, becoming the signature voice in Phil Spector’s Wall of Sound empire. Now Love is jumping back into the fast lane with a new album underway, powered by some of the Hall of Fame powerhouses that championed her own induction. It’ll be produced by Steven Van Zandt and will feature two new songs by Bruce Springsteen. Elvis Costello is also on board. 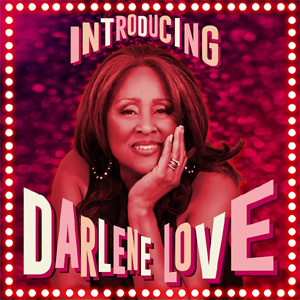 Minus best-of compilations and countless background work assignments, Introducing Darlene Love (out Sept. 18) will mark Love’s first full-length album in over twenty-seven albums. Coming out of the gate first on its list of singles is “Forbidden Nights,” a Costello-penned song that plays like a sweet reminder of the buoyant innocent pop she’s best known for. The cascading strings and jingly bells hugging the classic melodies of “Today I Met the Boy I’m Gonna Marry” and “Christmas (Baby Please Come Home)” are so present, and gives Love a little more nostalgia to sing about. On top of that, she uses her soulful instrument to deliver the type of ache that comes with songs about being shut off from guilty pleasures: “Why did you have to, baby, look so fine/When you knew all along you could never be mine?” The song boasts two careful modulations after the second verse, pushing Love to the corners of gospel-fried adulation. Those hungry to hear more “sha-la-la” chants and Love trying on a dress of familiarity will find themselves at home on this. It doesn’t introduce the 74-year old singer to new territory, but it does remind us of what we’ve grown to appreciate most about her triumphant discography.